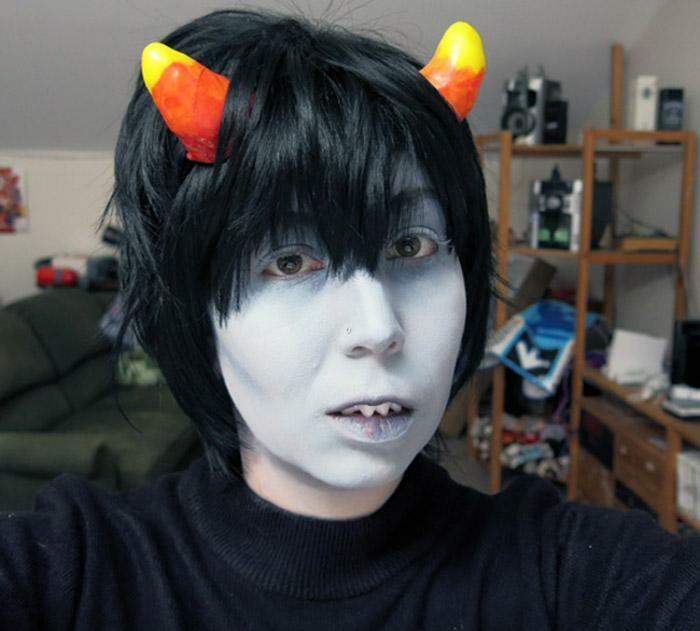 Kaori used Plastimake to create the teeth and horns for this Homestuck costume. More specifically, it's the Karkat Vantas character from the long running Homestuck webcomic. Each horn is about 2tbsp of plastic pellets, and each tablespoon had 5 colour pellets added. 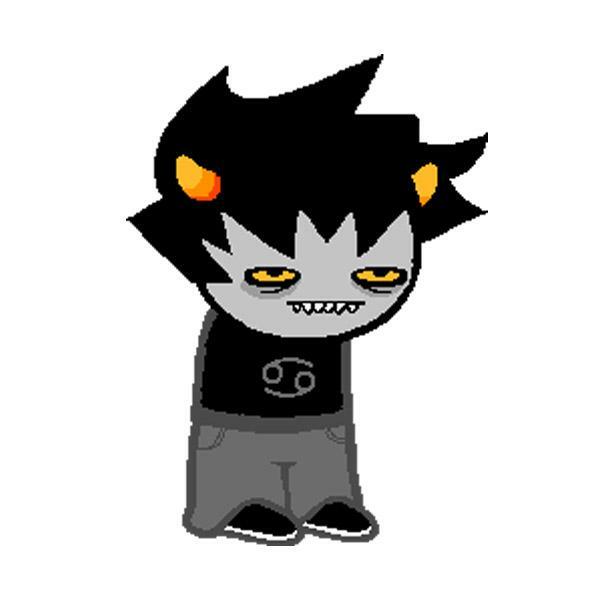 Bare with me here. 1tbsp with red, 1 tbsp with yellow, split and combine for orange, then layer; red, orange, yellow, rinse and repeat for the other horn. They sit on the head via an elastic strap, I was able to poke holes in the base of the horns while they were still warm and thread the elastic through once they'd cooled. The teeth were somewhat less straight forward and required some quick work. Sculpt each tooth (6 total), stick them together, press them against my existing teeth, hope for the best (so many times I worked too slowly and they cooled down too much to stick, or I worked too quickly and accidentally smooshed a tooth out of shape). They've come up quite well, not too big, and I worked it so that they sit across the front of my teeth only- no hooking over the back- which means I can actually speak coherently while wearing them! These teeth certainly look a lot more comfortable than the set of monster teeth we made last year!